…are actually vacuum-relief vent pipes – albeit on a grand scale. 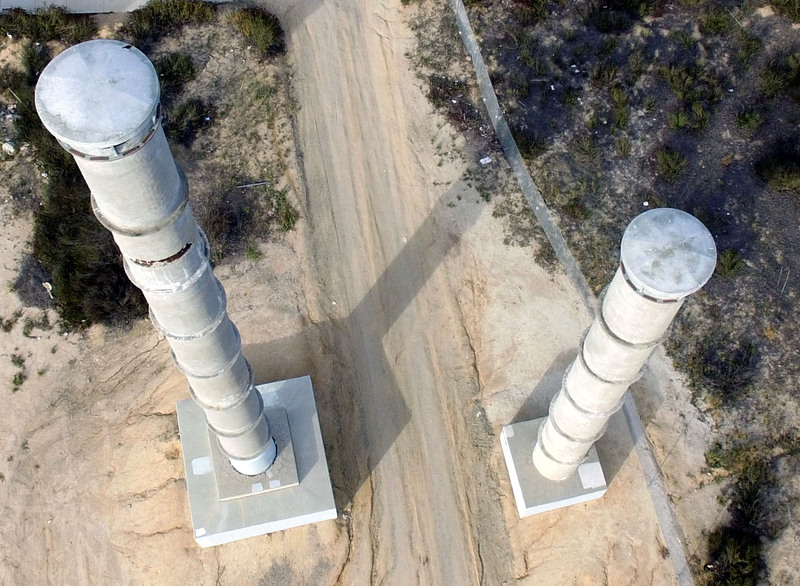 The vents are located on the high points of an underground water transmission pipeline that stretches 94 miles from the Lake Skinner Reservoir in Riverside County to the Lower Otay Reservoir in San Diego County. Air vacuum relief valves are located at the high points of the pipeline. The primary purpose is to vent large volumes of air pockets in the pipes. The stack heights are directly related to system pressures. Air in the pipeline can come from the filling process, dissolved air from the water itself or from other pipeline equipment components. Air being lighter than water tends to accumulate at the high points creating flow restrictions, potential corrosion points, higher head pressure and greater operating costs. The consequences of water hammer on this scale can also result in major transmission failures. Vacuum relief valves can also be used allow air into the piping system to prevent a pipe collapse during the draining process. Above are examples of how “Q” is applied to many of the engineering formulas that you use when determining load requirements. Whether it’s the amount of heat required, cubic feet of dried air needed to meet moisture removal loads or the air ventilation rate needed; Q Applied Systems represents the necessary applied products and solutions to meet your system requirements. That’s why the “Q” is in our name! 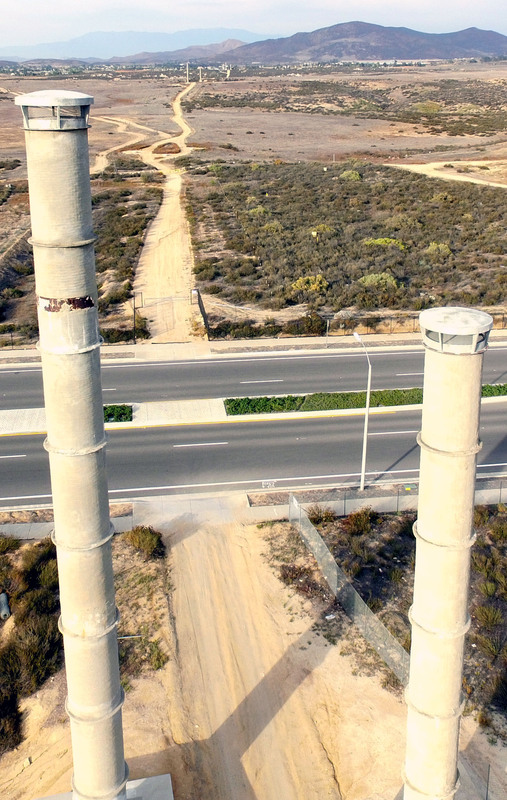 Watch and share our “vent pipe drone” video! Share this article on LinkedIn. If you have questions about your application or vent pipes give us a call (858-435-2236) today? Not ready for a call, no worries, Click here to send us an email today. Contact us today to learn more about the manufacturers and equipment we represent and how it can be applied to your next project.